The simplest way to fix the.Net problem is to replace a .dll file. 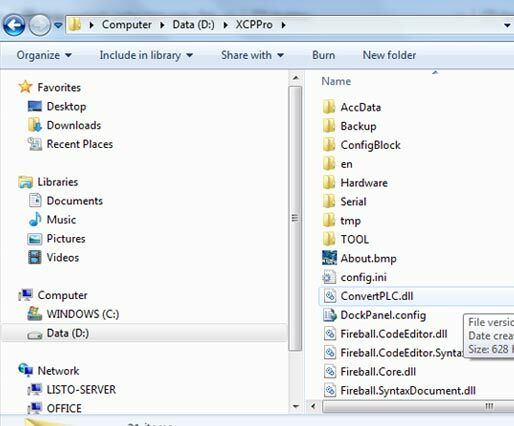 To do this download the following file and extract the ConvertPLC.dll file to your installation directory, replacing the original ConvertPLC.dll file. This location will depend on where you installed the software (as you can see below). You can also resolve this issue by uninstalling this update from you computer (see below). Note: Users running XP must check "Show Updates" (Control Panel - Add/Remove Programs) to see all updates. 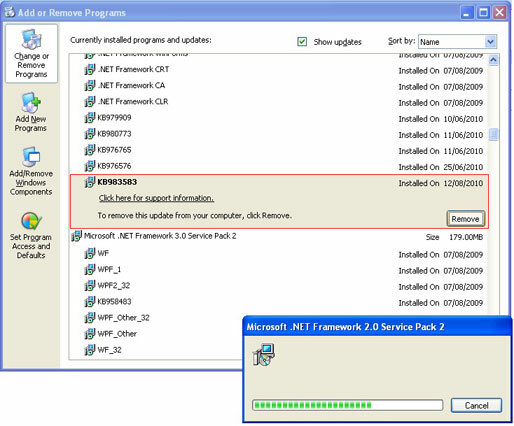 Then find the updates for .NET framework 2.0 SP2.